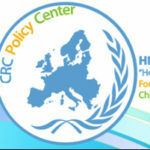 Georgios Georgiou is working at “Hope for Children” CRC Policy Center's Humanitarian Division in Nicosia, as clinical psychology at the Children’s House. He holds a Bachelor’s Degree in Psychology from University of Cyprus, a Master’s Degree in Psychology with specialization in Clinical Psychology from the University of Leiden (The Netherlands) and a PhD degree in Clinical Psychology from the University of Cyprus. Mr. Georgiou is a registered clinical psychologist. His clinical and research work have a focus on children and adolescents mental health, with special interest in anxiety, conduct problems and antisocial behavior. 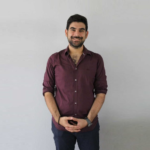 In the past 3 years he has worked as an intern clinical psychologist in several Counseling and Mental Health Centers in both Cyprus and The Netherlands. Furthermore, he published several research articles in International Academic Journals.